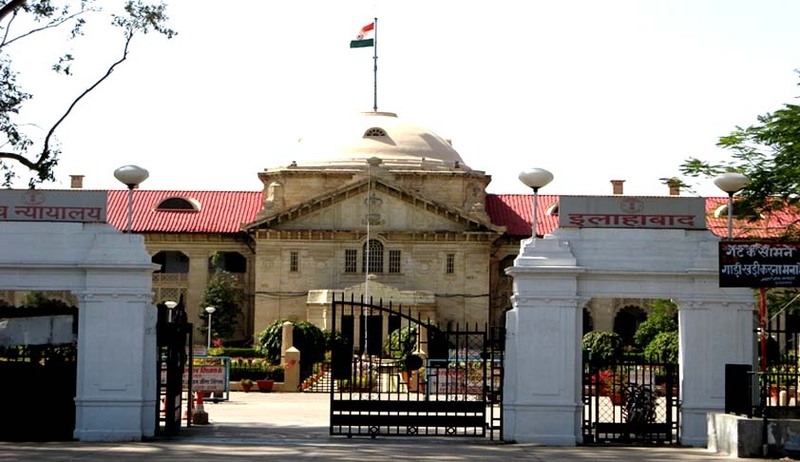 The Lucknow Bench of the Allahabad High Court, comprising of Justice Imtiyaz Murtaza and Justice Devendra Kumar Upadhyaya, on Wednesday upheld a Government Order permitting Reliance Jio Infocom Limited to lay down optical fibre cable, asking the authorities to strictly adhere to the precautions listed in the order so that the damaged caused is immediately restored. The writ petition was filed by a local excorporator Arun Kumar Tiwari in public interest, challenged the State Government order dated 15.10.2012 which issued directions to facilitate service providers for establishing 4th Generation Broadband Wire Line/Wireless Access Services (4G-GBM). He challenged the permission granted by Lucknow Nagar Nigam to Reliance Jio Infocom Limited, for road cutting required for laying down underground Opitical Fibre Cable and for installing Ground Based Masts. It was also demanded that the State Government and Lucknow Nagar Nigam be mandated to recover road cutting charges, as determined by the Public Works Department, from the RJIL and they be asked to repair the roads. The petitioner, through his counsel, Shri B.K. Singh contended that as per the provision of Uttar Pradesh Municipal Corporations Act, 1959, no person or authority has right to cut or damage the roads without prior permission of Municipal Commissioner. He further stated that it is the Municipal Commissioner who permits the road cutting after deposition of certain charges with a specific condition that the person or authority responsible for cutting roads shall restore the same. The petition was challenged as non-maintainable by the State Government on the ground that the writ petition cannot be said to have been filed in public interest for the reason that the petitioner himself is an Ex-corporater of Nagar Nigam, Lucknow and his wife is presently a sitting Corporator of Nagar Nigam, Lucknow. It was contended that the petition was filed with some vested interest, in order to gain cheap publicity. The Court took note of the fact that RJIL has been provided with an All India Internet Service Provider (ISB) Category 'A' license by the Government of India entitling it to provide ISP services throughout the country. It also observed that the Government order provided that after completion of work with Horizontal Directional Drilling technique, the space used by the respondent no.4 shall be restored to its original shape within 72 hours. It also provides that in case restoration is not done within the prescribed period, then the local body concerned shall not only realize restoration charges with penalty but shall also require the restoration work to be completed. The other conditions included that the permission shouldn’t be granted at places where they may create hindrance in the traffic. The Court hence noticed appropriate precautions in the Government order. With regard to the power of the Government to grant permission to carry out the activities concerned and the issuance of the order, the Court observed that State Government is fully statutorily empowered under Sections 4 and 5 of the Optical Fibre Cable Act, 2001 to grant permission to a licensee. The Court hence upheld the Government Order, disposing off the appeals. The Bench also directed the authorities concerned to enforce the provisions of the Rules and the terms and conditions of the Government Order dated 15.10.2012 in their entirety strictly so that the damage caused to the public streets and other places in the process of laying Optical Fibre Cable and erecting the masts and poles is immediately restored, failing which, local bodies shall take appropriate action.